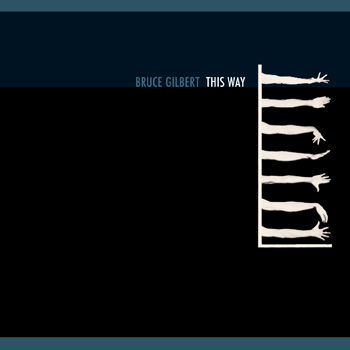 This Way, originally released in 1984 on Mute (STUMM 18), was Bruce Gilbert’s first solo album being realised in that brief period between Dome winding down operations and Wire reforming for first time. A stunning study of controlled ambience and subtle minimalism, which is still regarded as an all time favourite to us here at Editions Mego. The bulk of the album is taken up by the mighty Do You Me? I Did / Swamp pieces which were commissioned for piece of the same name by choreographer Michael Clark. A grey tonal poem of amazing bleak beauty building up to the ecstatic crescendo of the third movement. Elsewhere short notes on the possibilities of abstract electronic noise are included in the form of Here Visit and U, Mu, U, which still hold their sense of urgency a quarter of a century after being initially recorded. This is also the first time the complete album is available domestically on CD. Previous CD issues were the This Way to The Shivering Man on Mute (with U Mu U missing), and the Japan only 3 CD box with This Way, Shivering Man and Insiding previously released by Alfa Recordings. This 25th Anniversary reissue is remastered by Russell Haswell and contains a re-work by Dave Coppenhall on Angela Conway’s original artwork.